A fun way to pep up black and white pictures is to modify the colors of the picture. 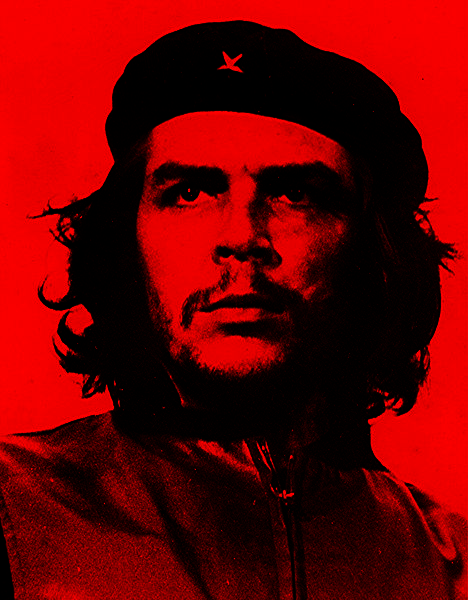 For instance, take this iconic picture of Che Guevara. is is based on a black and white picture. I replaced white with red to to achieve the look of the well know version of this image. Replacing white with red is not the only option. Using the brightness a white or a black image for the RGB channels allows in total 64 variants to combine into a colored picture. EPROM short for Erasable Programmable Read-Only Memory is a relict from the early days of computing. It is a from of memory used to store program code for CPU and micro computer. As the name states it is a read-only memory this means that in normal operation the memory content can only be read but not altered. To erase then the memory the chip needs to be exposed to UV light. For this propose the housing of the chip has a built in quartz glass window. I used a so called flash gun which is basically a mains powered fast firing strobe light which is pointed on to the window. The process of erasing the memory takes some time. I interrupted the erasing process to monitor the progress erasing process by dumping the chips memory into a file. During the first 60 seconds of the chip being exposed to the light no data change occurs. After that the memory fades pretty fast. Even the placement and structure of the memory cells on the chip is somewhat recognizable. I have been collecting old EPROM chips for many years. Now I was curious what data these hold exactly. I am not looking for program data but more for character maps, hidden “Easter eggs” . Something like this Hack a day post. X-Ray comparison: Do ceramic knifes appear on X-Ray images? A few years ago I bought this interesting piece of medical equipment history. It is an induction coil with interchangeable gas filled glass electrodes. It was used “treat” all kinds of medical conditions. The handbook shows a large variety of uses this device could be used on, against and for. There are electrodes for your hair, eyeballs, vaginal electrodes and many even weirder ones. All the electrodes from the handbook are pictured at the end of the video. I think it is a medical quack. Nevertheless it is fun to show this thing at parties an zap people whit it. I have the handbook scanned somewhere and will add it to this post any time soon. In the meantime here is a video of me presenting this thing. Recently I installed this interesting plugin. It makes it easy to put web links to sources to the bottom of the page. Similar to the Wikipedia citation style. 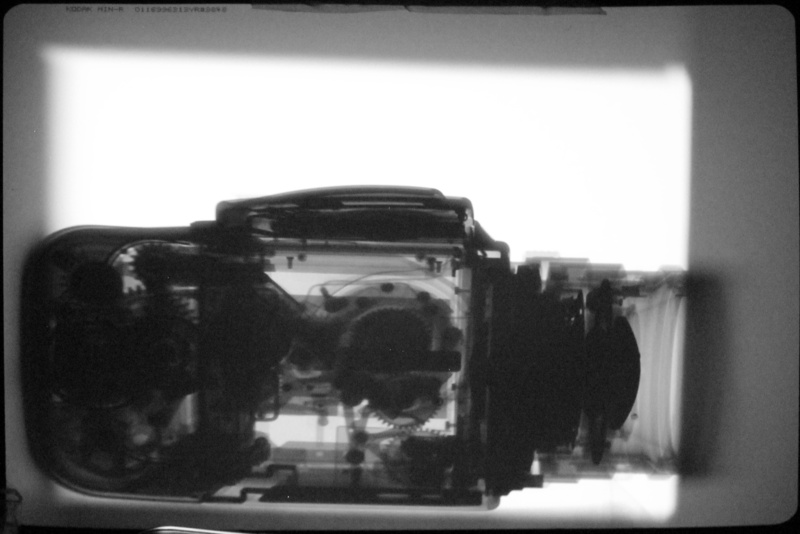 Emi and I took an X-ray of his Hasselblad 500.